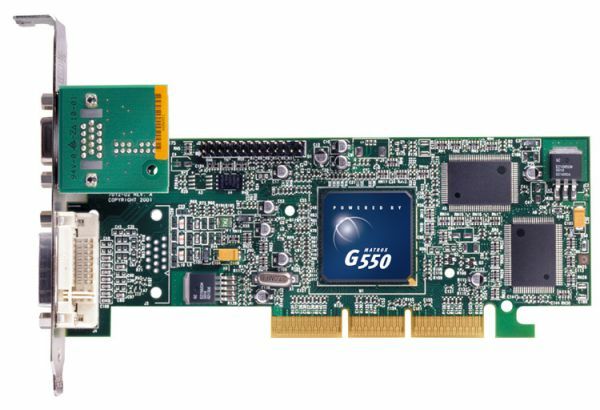 The Matrox G550 is a dual monitor AGP graphics card with 32MB of graphics memory and support for dual-RGB, TV output and DVI output. * Drivers for Windows 98, Windows Me, Windows NT 4.0, Windows Server 2003, Windows XP X64 (64-bit) and Windows Vista XDDM available online. For other possible operating systems, contact Matrox. 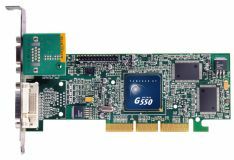 * G55+MDHA32DS may also be available from resellers. For more information, see online Matrox RoHS information.